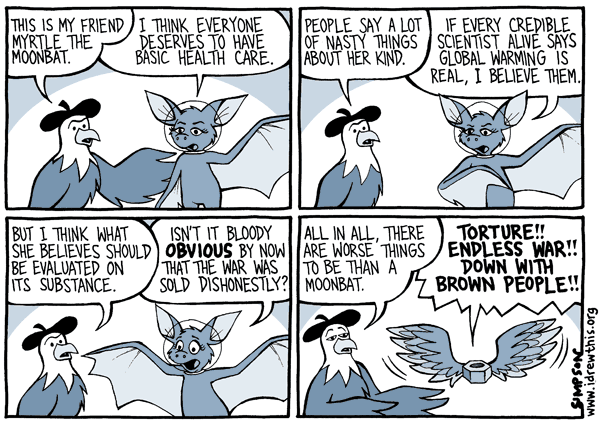 I Drew This: Myrtle the moonbat. OZY and MILLIE (my other strip). All content © 2004-2006 D.C. Simpson.